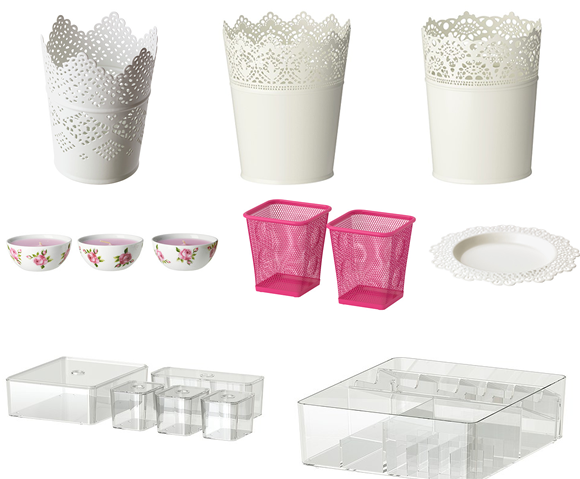 We're taking a trip to Ikea over the weekend so I decided to put a small wishlist together of the few little things I want to pick up! i want everything on this wish list! i love the transparent boxes to put in draws great way to store things! I have the vases and i really want more, they're so good! I love Ikea and I always come home with something whenever I visit. It's just a very inspiring place and makes me want to redecorate my place all the time. love pink and white together!! so simple yet so pretty! Im in love with all of these! !